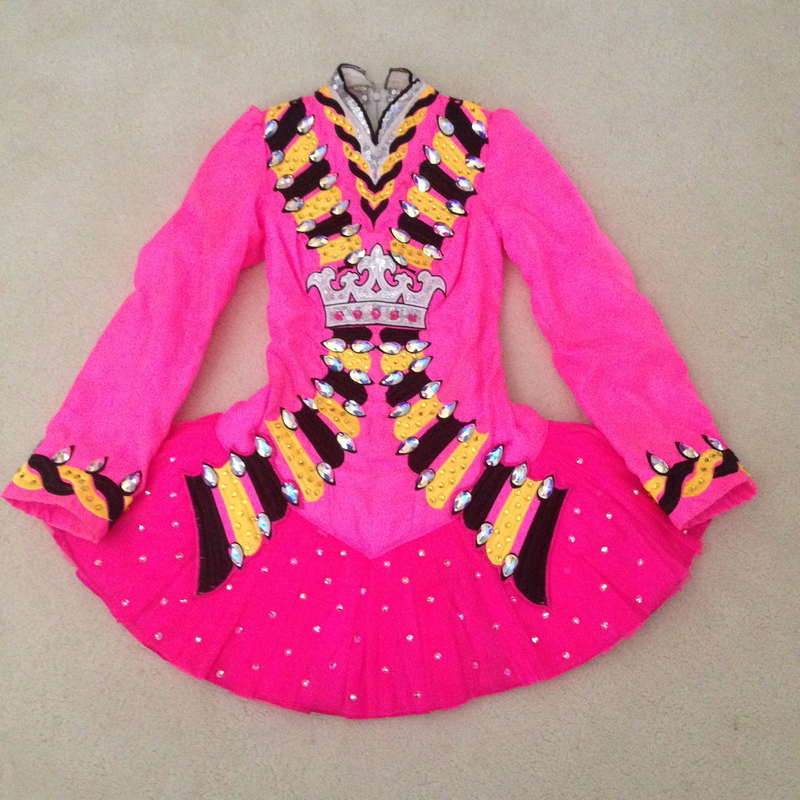 A simply stunning and certainly eye-catching Gavin Doherty dress – you won’t be missed in this one! Covered in Swarovski crystals, the main colour of the dress is bright bubblegum pink with a black and yellow design. There is a silver crown sewn into the front design and this is mirrored on the shawl at the back. 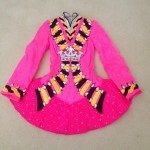 The dress would suit any age from U15 – Senior. It is religiously cleaned after every feisanna so is in beautiful condition. 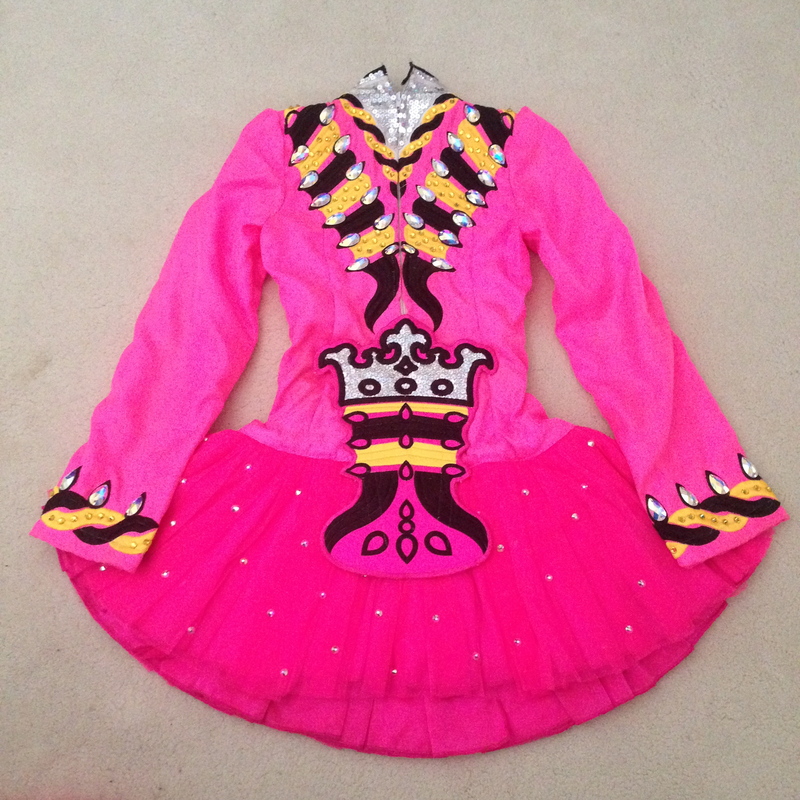 Pink bloomers and sash included. If you have any other questions, or wish to see more photos, please do not hesitate to email me. There is a 2″ let out on the width of the bodice, and a 2″ let out on the bodice length.